MDC vice president Morgen Komichi says the starting point for national dialogue must be a private meeting between his leader Nelson Chamisa and President Emmerson Mnangagwa. In an interview with the Daily News, Komichi said the two leaders must meet at a neutral venue to discuss the way forward. “First, there must be a meeting between my president Chamisa and Mnangagwa. “The two must meet and agree on the general framework and agree where we should take the country to. “We are for the inclusive process but we can’t go into a process which has got weaknesses. As for now, the environment is not conducive for dialogue as people are being beaten and arrested. Last week, Mnangagwa rejected a conditional offer from the opposition party to enter into formal talks under a Sadc and AU guarantor. 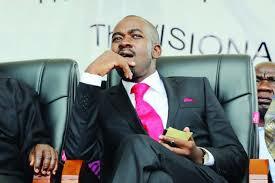 Chamisa insists he is genuinely willing to enter into formal negotiations if certain conditions are met by Mnangagwa’s government. Among his demands is mediation by a neutral third party recognisable to Sadc and the AU, including a requirement that all “prisoners of conscience” be freed, and that there be an immediate return to the barracks by the military. Chamisa said any continued military offensive would “take talks off the table.” Through his spokesperson George Charamba, Mnangagwa rejected the conditions, saying talks were an internal matter and required local mediation or observation. Charamba said the State House meeting last week, boycotted by Chamisa, resolved that “there should be no pre-conditions for dialogue,” adding that negotiations would continue with the smaller parties even though political experts are of the view that these have no real power on the ground. Komichi said Mnangagwa is pushing for an internal settlement which is similar to that of 1979 which was done by the likes of Ian Smith and Ndabaningi Sithole. “Smith called for a dialogue without proper fundamentals. (Former president Robert) Mugabe and (former vice president Joshua) Nkomo refused to be part of that settlement and Mnangagwa was also there and I am surprised that he is now doing the same mistake and wants us to be part of the negotiation. “Currently, MDC is under siege and we can’t dialogue with the people who are beating our supporters and arresting them for trumped up charges. “We cannot make a mistake that we made previously. We now know the negotiating process. “Some of the agreements we signed in the political agreement previously were not implemented.